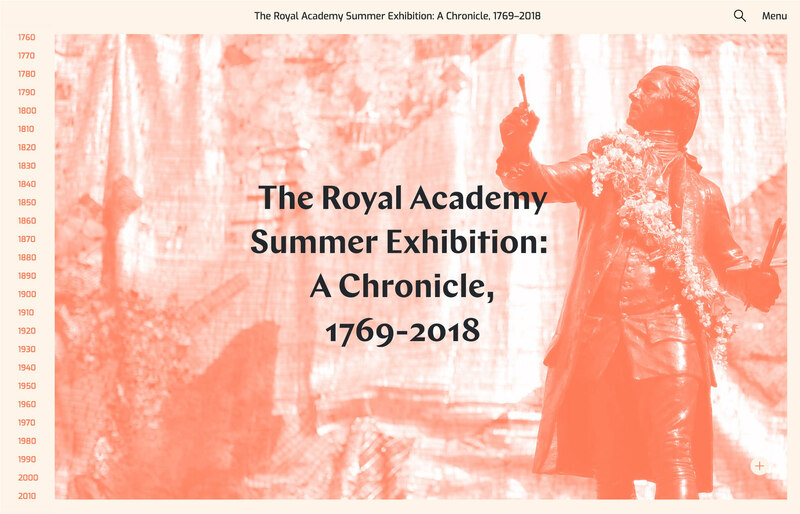 The Chronicle was released on 30 May 2018 to coincide with and expand on the Royal Academy’s anniversary exhibition, The Great Spectacle: 250 Years of the Summer Exhibition (12 June – 19 August 2018). Since the foundation of the Royal Academy in 1769, over 200,000 contemporary artists have shown more than 320,000 works at its annual Summer Exhibition. Even though The Great Spectacle contained over 100 works of art, generous vitrines, and a handsomely illustrated catalogue, one exhibition could never entirely capture such a long and complex history. The Chronicle was conceived to extend the life of The Great Spectacle, and indeed of the 250 historic Summer Exhibitions, by offering a rich resource for learning and research. Completely free and open access, it is designed for use by the general public, specialist researchers, and teachers, long after the exhibitions have shut their doors. The Chronicle brings together artwork, stories, and data visualisations spanning 250 years of the exhibition’s history, with contributions from over 90 experts – including artists, critics, curators, and art historians – many of which take the form of lively year-by-year essays examining key artists, artworks, and events from each exhibition. Alongside these entries, the Chronicle also makes available a complete set of digitised and searchable catalogues from each Summer Exhibition since 1769. This ambitious publication was made possible by assembling a community of art historians, artists, curators, digital technologists, librarians, archivists, and designers. 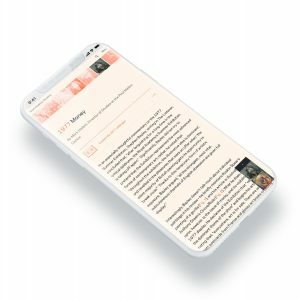 A team based at The Paul Mellon Centre for Studies in British Art – a non-profit research institute in London affiliated with Yale University – edited and managed the project, collaborating closely with our designers Strick & Williams and with development by Digirati and user experience by Unaffiliated. For more details on some of the technical aspects described please see this write-up on Medium by Digirati: https://link.medium.com/xKQ24KwYdU.